This is just one of the mistakes I’ve made in Korean! It’s hard learning a second language and not knowing how words are related or not related at all. At least Hugh got a good laugh out of my dumb assumption. Our audience can be quite fragmented. We have people who only read the comics, people who only watch our videos and some who only follow the Nicholalala webtoon. This new series is a way of showing the comics to the YouTube audience and to discuss them further as a couple. When I posted this comic there were people who said they thought the same thing, so I felt a little less dumb! Let us know what other comics you’d like us to revisit in a video! 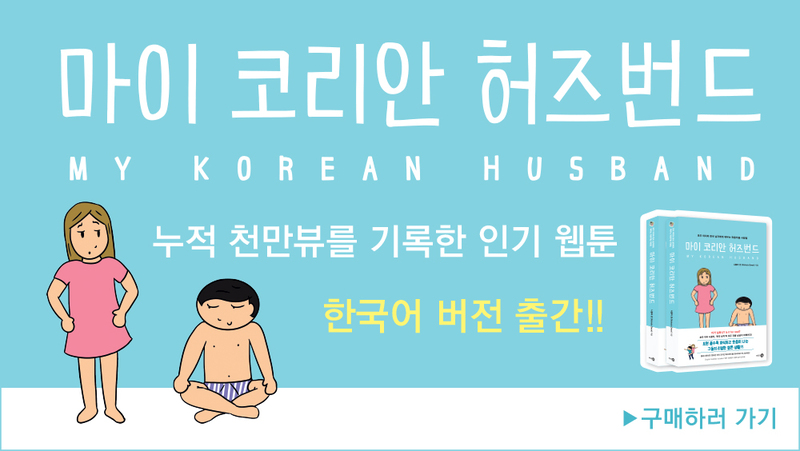 When our good friend Sara (SeoulSarang) was in Korea a few months back, Hugh challenged her to guess the meanings of these new Korean slang words. Have you heard any of them before? Learning another language when you are an introvert can be very difficult because so much language learning involves socializing. I’m not shy at all, and I definitely love talking to people, but my mind and body needs to rest after intense socializing. Speaking in Korean makes it so much harder because my brain is doing so much more work, so after my Korean lessons – which involve mostly talking – my brain is totally fried. Click here for HelloTalk website. If you are needing language exchange partners to chat with, we do recommend this app. We don’t usually do sponsored videos, in fact this is the first time we’ve ever done one, and we only want to to talk about products or services that we really like and would recommend anyway. I hope this app helps some of you with your language learning. Well I learned something… think I might just ask in English from now on though. He has so little faith in me… haha. Actually I’ve had insomnia lately so he knew I was sleep deprived and likely to dissolve into tears at anytime. But the lesson was fine! It’s all in Korean so of course it’s hard for me to understand everything the teacher is saying, but it wasn’t a traumatic experience.